Many people realize that now might be a good time to buy a home. 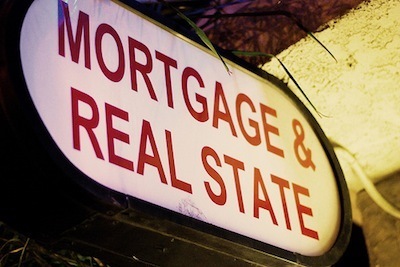 Home prices are low, and mortgage rates are still fairly competitive. However, those with modest means might find that they are having a hard time getting approved. These aren’t the heady days of 2006, when you could get approved for a huge mortgage with a modest paycheck. Today, mortgage lenders are looking closely at your income, and making sure you can repay your loan. Does that mean you can’t get a loan? Not exactly. But it does mean that you may need to adjust your expectations. First of all, it is important to understand that you might need to adhere to the 28/36 qualifying ratio, as well as having a good credit score, to get the best interest rate. This means that your mortgage payment should be no more than 28% of your monthly income, and that your total debt payments each month shouldn’t exceed 36% of your income. If you make $45,000 a year ($3,750 a month), that means that your mortgage payment should be no more than $1,050 a month. Your total debt payments shouldn’t be more than $1,350. Of course, the less you are obligated to put toward your mortgage payment each month, the safer you will be. I like to keep my mortgage payments to less than 25% of my monthly income. In our example, that would be a mortgage payment of $937.50. If you decide you are ready to buy a home, the first thing you need to do is figure out what is “safe” for you in terms of a mortgage payment. Another hurdle you will have to clear is the down payment. It’s best if you can save up for this. Many mortgage lenders right now want to see at least a 5% down payment. Some might even require a 10% down payment. In the U.S., if you get a FHA loan, you can get away with 3.5%. Coming up with that down payment can be done by saving up, of course. Also, you can use a qualified withdrawal from a Roth IRA to help fund your down payment in the U.S., or withdraw from your RRSP in Canada. While it’s not the best option to get funds for a down payment, raiding these tax-advantaged accounts can help you meet a down payment requirement when you have modest means. You can also receive money in gifts from relatives to help out. When you have modest means, it can help to look into different programs available. There is the FHA loan in the U.S., and there are other programs as well. You can get help from the U.S. government if you plan to buy in a rural area. You can also look into local and state/province programs. At the local level, there might be assistance to those looking to buy. Find out what programs there, especially if you are a first time homebuyer. You might be surprised at the resources available to you. Another option is to use sweat equity. This is when you help construct your own home. Special programs take into account the work you do on the home, and it is reflected in a smaller mortgage. This can be one way for those with modest means to help with the mortgage. Make sure you are clear on the terms, though. Related to sweat equity is the idea of buying a cheaper home that needs some work, and fixing it up yourself. However, you should have a good grasp of home improvement when you attempt this. As long as you approach getting a mortgage carefully, and as long as you are honest about what you can afford, you might be able to find a home that is right for you. Now we’re back to 1980-something, to lending as it was in the days long before the mortgage meltdown: you actually have to qualify! That can come as a shock to anyone who took mortgages in the 2000s, but as Miranda points out, down payments and 28/36 are back. If you can qualify under those, you should be good to go. so what happens to people who can’t qualify but their mortgage is up for renewal? The rates on a 15 year are still really low. We refinanced, from 30 to 15 and are paying only $100 more/month. We save over $150,000 in interest. “If you make $45,000 a year ($3,750 a month)”, uh, not exactly! Did you forget about TAXES? My salary is $45,383/year. I take home $2600/month. That is a BIG difference from $3750!!! Now you are looking at a mortgage of about $750.